The name of Japan's new era under the incoming emperor will be unveiled at around 11:30 a.m. on Monday and Prime Minister Shinzo Abe will make a statement on the decision from noon, the government said Friday. 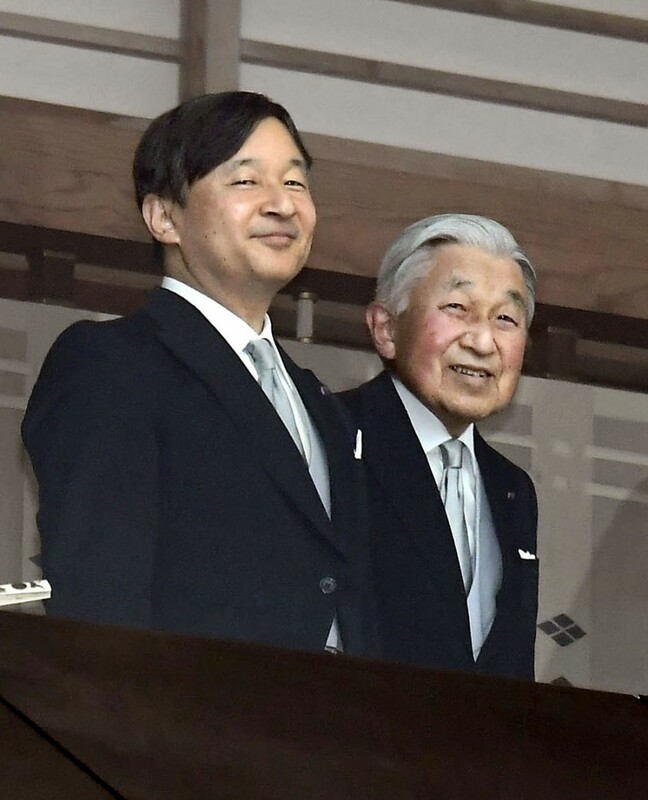 It will be known to the public a month before the new era, the 248th in Japan's history, starts on May 1, when Crown Prince Naruhito succeeds to the throne following his father Emperor Akihito's abdication the previous day. The government aims to complete the process to choose the new era name, or "gengo," in two hours in the morning -- a relatively short period of time -- in a bid to prevent the new era name from leaking by people involved ahead of the official announcement. Chief Cabinet Secretary Yoshihide Suga said at a news conference Friday he will make public the new era name that will follow the current Heisei, meaning "achieving peace," and explain how the decision was made, before Abe separately meets the press at around noon. In 1989, when Japan last changed its era name after the death of Emperor Hirohito, posthumously known as Emperor Showa, then Chief Cabinet Secretary Keizo Obuchi, who later served as prime minister, held up a calligraphy work showing the two Chinese characters making up the name Heisei and read out then Prime Minister Noboru Takeshita's statement. Suga told reporters he will announce the name the Cabinet decides as the top government spokesman. "The prime minister will convey the meaning of the new gengo and his message directly to the public," he said, referring to the statement Abe will read out. A gengo is used for the length of an emperor's reign and a change of era is an important event in Japan as gengo are used in minting coins and producing calendars and official documents among other purposes. The Gregorian calendar is also widely used in the country. Suga said earlier that on March 14 the government officially requested experts in such fields as Japanese literature, Chinese literature, Japanese history and East Asian history to come up with era-name proposals. On Monday morning, the government will present a shortlist of name candidates to a panel of representatives from business, academia and media organizations to hear their opinions. It will also gather input from leaders and deputy leaders of both Diet chambers, before the Cabinet approves an ordinance to introduce the new gengo. Suga said the government will announce the panel members the same morning. Kyoto University's Shinya Yamanaka, who won the Nobel Prize in physiology or medicine in 2012 for developing iPS cells, and novelist Mariko Hayashi are among candidates for the panel members, according to sources close to the matter. Also on Friday, Abe visited the Imperial Palace to meet with the emperor. The outcome of the one-on-one meeting will not be disclosed, but the prime minister is believed to have explained how the new gengo will be determined on Monday. Foreign Minister Taro Kono said the government will notify 195 countries as well as international organizations of the decision through diplomatic missions at home and abroad and other means. The 85-year-old emperor expressed his wish to retire in a rare video message in 2016, citing his concern that he might not be able to fulfill his official duties due to his advanced age. In the following year, the Diet enacted one-off legislation to enable him to abdicate, the first Japanese monarch to do so in around 200 years.